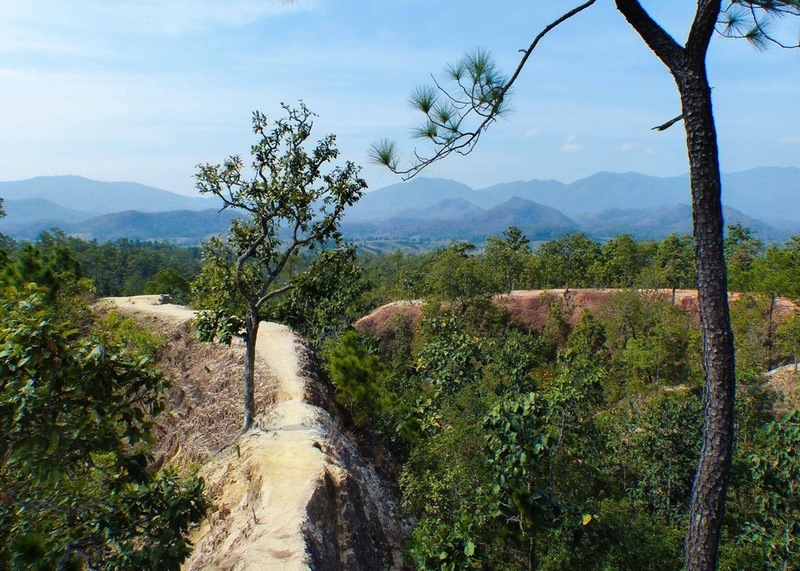 Situated in the picturesque countryside of Northern Thailand is Pai Canyon. 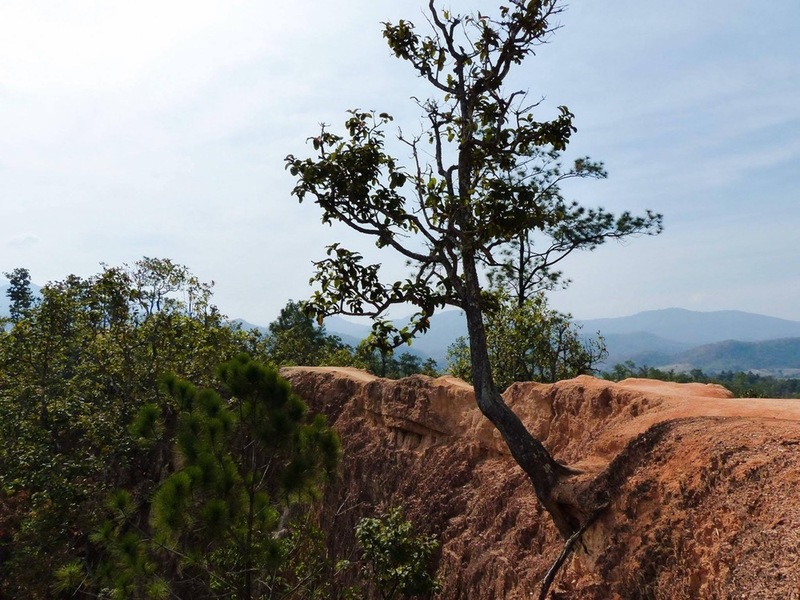 It is located 8km south of Pai and can be reached by scooter, bike or taxi (you would need to hire one for the day). The views it offers makes it worth a visit if you're already in Pai. 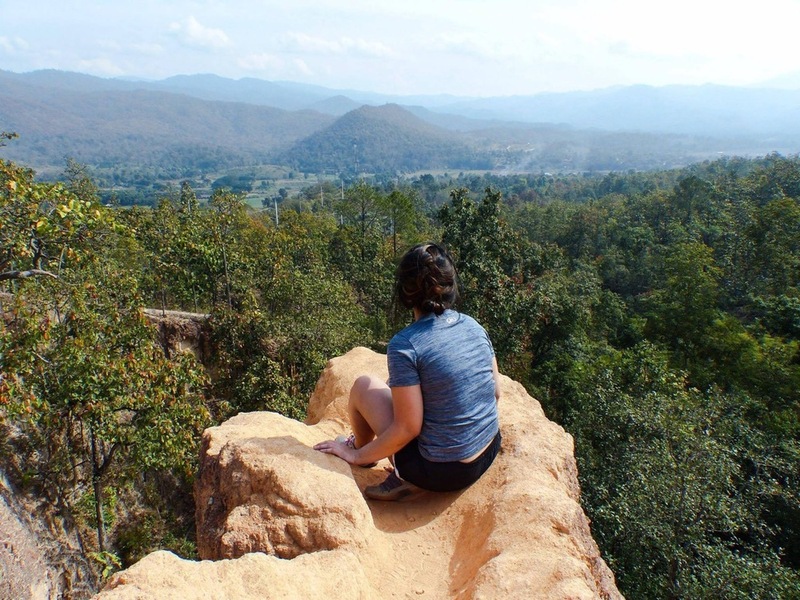 Although, I don't think it's worth it to venture out to Pai just to see the canyon. It's quite easy to get there. From Pai, follow highway 1095 south for 8km. Along the way, you'll see Coffee in Love, The Container in Pai and Love Strawberry. The canyon is located on the right side of the road. You can park your bike there and head up the stairs to the canyon. We rented a mountain bike for 100 baht/24 hours and took about 1 hour to get there. Granted, we took a few stops along the way and walked the bike up most of the hills. Just note that there is a lot of uphill, downhill and winding curves on this road. It's quite the workout, but definitely doable. At the top of the stairs lies Pai Canyon. The reddish hue of the canyon along with the backdrop of the mountains makes it a unique site to see. 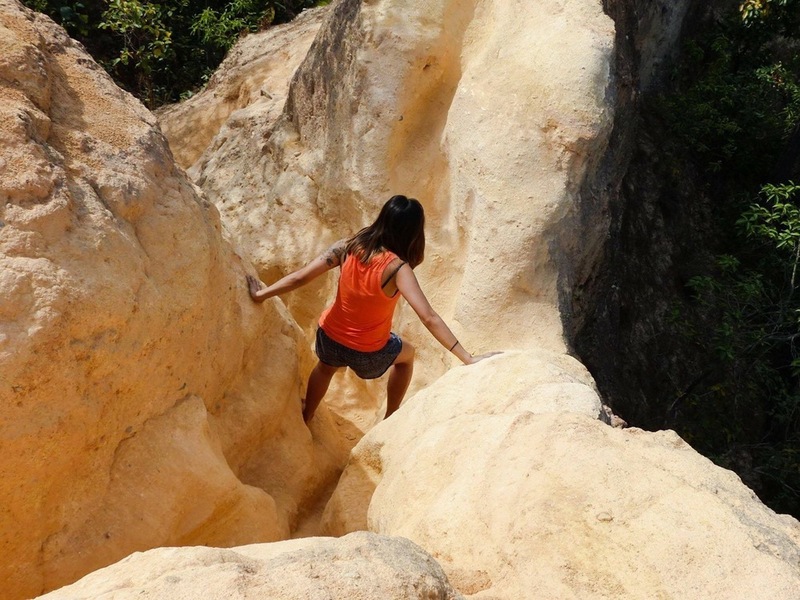 There are dangerous 50 metre steep drops on either side of the canyon, so be careful when exploring. There are a lot of paths to wander on if you're daring enough.